HealthSlate Patient app is a chronic disease management system entirely developed by Technosoft. It’s a native iOS and Android client-side application with JSF, Sprint, Elgg, MySQL backend on Amazon’s HIPAA compliant private cloud on AWS and RDS. Healthslate patient app allows users to take pictures of their food and send to dietitians to report the meal calories, carbs etc. 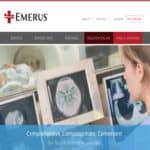 The app has an interactive training module that allows patients to go through a complete curriculum with direct video conferencing with an instructor. 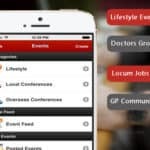 The application also has a social component that allows patients to socialize in a private group environment with their Dietitians and fellow patients in the area. The app also provides activity log upload, glucose level tracking, integration with activity trackers, Video calling with Dietitian, Glucose meter data download, etc. here is an accompanying responsive web application for Coaches and dietitians to communicate with patients, review food logs, and monitor patient’s progress. It is a HIPAA compliant solution. Technosoft is responsible for all software development, maintenance, enhancements, deployment, level 2 help desk, and some HIPAA consultancy.